With WordPress, it is possible to have your personally customized theme. With this facility, you are able to be unique from your competition and do not look like other standard WordPress blogs. 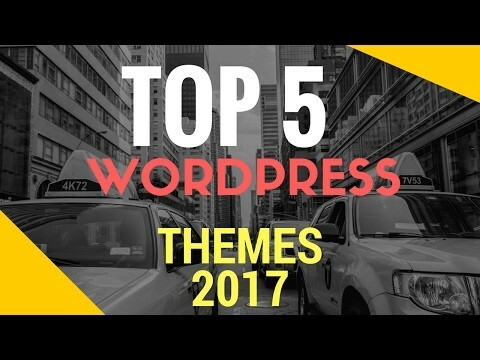 Themes from WordPress are customizable and they will get the job done and will make it easy for your visitors to easily access your content. Which themes will make things work out for you when running on a WordPress platform? This is one of the themes that will work great on your WordPress site. You do not need to have flashy graphics, slideshow images or sidebars. All that’s needed for your website is somewhere to showcase your content and a couple of images. Skeleton gives you the bare minimum that’s necessary to have a great site that will not overload your details. This theme is specifically designed to work as a portfolio site for designers, graphic experts and artists. The theme has a lot of graphics which makes it work great for artists who have a lot to showcase but it will work in a great way for those who have a lot of content. The theme is elegant, responsive and it’s free. This theme has sliders, WordPress and jQuery that are merged to a beautiful synergistic and dark component that will come in handy when you want to selling software and other products that need to showcase their features. The unfortunate bit about this theme is that it’s not responsive to mobile devices. The theme was developed with Google AdSense integration in mind. This theme will work great if you want to publish two to six posts in a day. The theme is pre-developed with a couple of AdSense integration location and these include sidebars which come with a fixed width design. The theme is unique for use on online blogs since it does not make use of the standard homepages and looks like a pinterest style set of cards for the post you need to display. The theme works like a pinboard for the content you publish. The theme has titles, previews, read more links and comments.